SANDVIK Coromant has introduced CoroBore 820, a unique addition to its boring tool programme. CoroBore 820 is a new solution for high productivity boring preferably in roughing operations. The boring range is 35 - 260mm and the boring depth is up to 4 x diameter. It is designed for internal coolant supply. 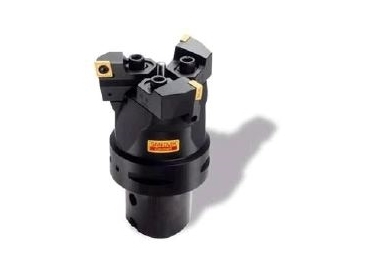 Three cutting edges allow a higher penetration rate with maintained tool life. A comprehensive program of tool bodies, slides, shims and cutting inserts allows CoroBore 820 to be configured to suit the widest possible range of applications. CoroBore 820 in combination with Duobore makes a productive team for rough boring.